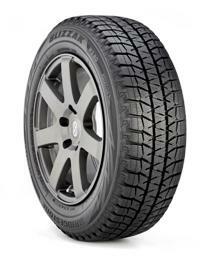 Winter Passenger tire that Delivers Reliable Traction in all Winter Weather Conditions, including Snow and Ice. well, a bit pricier but it worth when your safety counts. I adore these tires on my Subaru as they really give me safety, are comfortable, not noisy and good handling. I consider Blizzak one of the best winter tires with the most grip. Highly recommend! Always choose Blizzak, mounted them in 2017 and already have 15 k miles. Snow grip, acceleration is good. Breaking depends on outside temperature if snow is melting then could be not so fast, should be carefully. I live in canada so here we have pretty much snow, those tires are great for me feel myself stable and safe on ice or snow road, as well very comfortable on clean winter road.